December 2, 2015 By Andre Panagos M.D. Sitting all day is hard on your body. Most people believe it can increase your risk for back pain, but few people realize that it can also increase your chance of developing heart disease, diabetes and dying early. You want to break up your activity throughout the day alternating between standing with periodic sitting. Unfortunately, regular intense exercise will not help you recover from the negative effects of prolonged sitting. I should know as I was co-director of the Spine Center at NewYork-Presbyterian Hospital and I was also developing medical problems until I changed my relationship with my chair. People tend to fidget while sitting after several minutes, changing their posture until there is no remaining comfortable posture, at which point they get up. When you first sit on a chair, you tend to recline on the back rest. Over time you develop a slouch and sit on your sacral bone at the bottom of the spine instead of the ischial tuberosities or “sit bones”. This results in a c-shaped spine which is uncomfortable and also compresses the lungs, stomach and intestines. This posture also puts an additional strain on the discs, muscles and ligaments of your spine. When the strain becomes intolerable, you will then perch on the edge of the chair but this quickly becomes fatiguing so you will scoot back in the seat and use the back support again. Eventually you will slide down and restart the whole cycle over again until you are so uncomfortable that you stand up. The muscles of your spine never relax at any point during this entire cycle as you never encounter a stable position. Eventually you will need to stand or lie down to fully relax the muscles of the spine. This process makes it virtually impossible to design the perfect office chair. Zero-gravity type recliners are the closest chair that provides stable support, but it is difficult to use in an office setting. With quiet standing, studies have shown that the only muscles that are active are the calf muscles so it is a position of relaxation of the spinal muscles as is lying down. With active standing there is constant muscle activity which is important for overall health. Your weight should be distributed though the bones and not the flesh (Cranz, 1998), as the bones can take a compressive load whereas the muscles and ligaments begin to fatigue with long periods of inactivity. Sitting is hard work because chairs inhibit our usual comfortable movements when instead they should accommodate our movement so commonplace seating surfaces have become a major unaddressed health problem. With prolonged sitting in modern developed countries, we have lost the flexibility required to squat comfortably which some researchers believe it is a more comfortable work position (Cranz, 1998). In early 20th century it was thought that the ankles had to have support, in the same way that we think we need a back support today (Cranz, 1998). Robert Propst at Herman Miller wanted to design the perfect office in 1958. His goal was to improve the efficiency of the office by removing every motion or wasted second and to encourage chance encounters which are thought to fuel creativity. He believed in a porous work space with plenty of places for impromptu meetings. He called his creation the “Action Office”. Propst reviewed the medical studies and insurance data at the time which confirmed that sitting was not a healthy activity so he also designed standing desks but they never caught on with his clients. He invented the standing desk which was an offshoot of clerks desks in the 1800s but people were more interested in sitting (Engelhart, 2014). The renewed interest in office ergonomics is a return to the past when most office workers stood and sitting was considered lazy (Lohr, 2012). Michelangelo, Winston Churchill, Benjamin Franklin, Vladimir Nabokov and Ernest Hemingway stood. 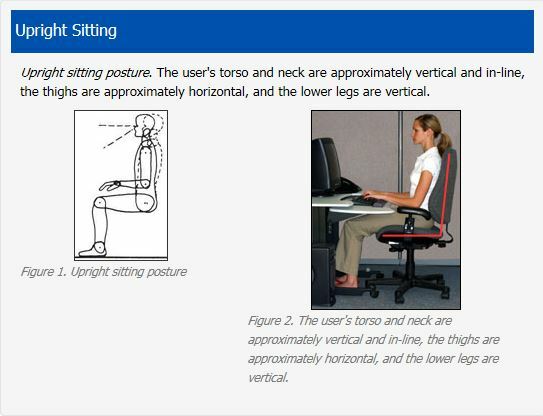 Leonardo da Vinci used a standing desk and Thomas Jefferson designed his own (Bennett, 2012) People have begun to realize there is a sitting crisis or “sitting disease” and the global health implications are enormous. It is not considered a niche market anymore although when I speak to patients, they are usually surprised by my suggestion that their office chair is causing spine or other medical problems. Technology companies such as Google, Facebook , and Twitter have been ahead of the trend giving their employees ready access to adjustable standing workstations. The office furniture maker Steelcase has found sales of its stand-up desks are growing faster than for their conventional desks (Bennett, 2012). During the workday, you may feel very active, but stop and think about your daily activities. For most people, movement is for shifting from one seat to another; from the car to work to home which is repeated day after day making the citizens of the developed world the most sedentary humans in the history of the world. You may spend 12 hours a day seated with an additional seven hours of sleeping which equals 19 hours of sedentary activity. Yet our bodies need constant, nearly imperceptible muscle activity to maintain normal function (Calorie, 2013), so regular exercise several times a week may not be enough. Steve Bordley of Scottsdale, Arizona had a leg injury and could not run, so he walked slowly on a treadmill adjacent to his desk. He was shocked after six weeks when he realized that he lost 25 lbs and resolved his lingering back pain. This realization drove him to start a standing desk company called TrekDesk. Financial gains due to increased productivity and decreased absenteeism could offset the costs of an adjustable standing desk, but are realized over the longer-term, so this is not a justification for many organizations to replace the sedentary office environment (Mackenzie, 2015). Research demonstrates decreased productivity with uninterrupted standing and the same may be true for uninterrupted sitting. In 2014, Dan Kois a writer for New York Magazine decided to live for one month without sitting which required novel approaches to normal activities such as driving and he found the whole process very disrupting (Kois, 2014). Unfortunately, when the novelty of a standing desk wears off, office workers tend to remain seated (Lunau, 2013). The London Transport Worker’s Study was the ground breaking study demonstrating the dangers of sitting. It was published in 1953 by medical journal Lancet and initially, the study was met with disbelief because no one thought exercise could keep people from dying. Even the authors of the study delayed publication for several years allowing experts to review the results before publication. The study demonstrated that bus conductors who walked around the bus had about half the risk of developing heart disease compared with bus drivers who sat all day (Morris, 1953). Specifically, the conductors ascended and descended 500 to 750 steps per work day and were half as likely as the drivers to die of a sudden heart attack. Postmen also had lower cardiac disease than postal clerks who sat behind the counter. The study also found that men who reported energetic regular aerobic exercise with sustained rhythmic dynamic contraction and relaxation of large muscles such as with cycling, swimming, fast walking, and jogging demonstrated lower coronary heart disease incidence than comparable men reporting equally energetic and frequent heavy work in the garden, in and around the house, or on the car (Paffenbarger, 2001). The study suggests that the human body was made to remain active. Dr. Morris foresaw the rise of coronary artery disease due to the lack of exercise, smoking and poor diets in the western world even in the days before the proliferation of computers. When he saw the results of the study, he stopped smoking and started running for 20 min in the 1960s. At the time, people thought he was crazy. In that era, lighting of cigarettes was considered exercise. Dr. Morris lived to nearly 100 and died in 2009. He thought that exercise was universal to health. Humans need vigorous exercise to protect them from cardiac disease and he advocated public exercise facilities as the cheapest solution for the rapid ascent of coronary artery disease but to no avail (Kuper, 2009). According to the World Health Organization, physical inactivity is the 4th leading risk factor for death worldwide. 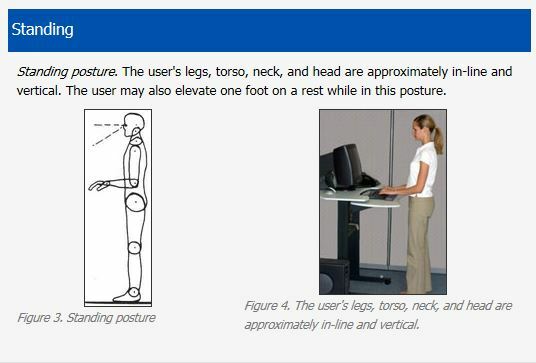 Your body needs constant low level activity which is promoted by standing. Minimal energy use is considered different than too little exercise. 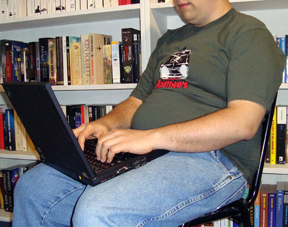 TV watching is the worst sedentary behavior imaginable, even worse than sitting while typing on a computer. This is due to the fact that your metabolic rate may go below your normal level compounded with commercials that promote unhealthy eating behaviors (Owen, 2012). Compare this energy expenditure with a hunter-gatherer who was constantly active. To match the energy expenditure of a hunter-gatherer would require you to walk an extra 19km per day. Every hour spent watching television increases your risk of becoming diabetic by 3.4 percent (Rockette-Wagner, 2015). One small study found on average that for every single hour of TV viewed after the age of 25, the viewer’s life expectancy was reduced by 21.8 (95% UI: 0.3-44.7) minutes (Veerman, 2012). A person who works out at the gym is still in danger or coronary artery disease if they are inactive for the remainder of the day, even with serious strengthening exercise and cardio training. Michael Perko, a professor at UNC-Greensboro believes that if you sit 6 or more hours a day, the health benefits of exercise are eliminated. “Exercise is not the perfect antidote for sitting,” says Marc Hamilton, an inactivity researcher at the Pennington Biomedical Research Center. Alpa Patel, an epidemiologist at the American Cancer Society, tracked the health of 123,000 Americans between 1992 and 2006. Men who sat six or more hours had a 20% higher risk of death compared to men who sat for three hours or less. The death rate for women who sat 6+ hours was 40% higher (Patel, 2010). Simply breaking up prolonged periods of sitting with two minutes of walking every 20 minutes made a big difference (Dunstan, 2012). One study suggests that if you sit for more than 11 hours a day, you will have a 40% percent greater risk of dying in the next three years. (Ploeg, 2012) (Glatter, 2013), but no link has been found between standing and premature death (Katzmarzyk, 2014). James Levine, a researcher at the Mayo Clinic in Rochester, Minn. focuses his research activities on inactivity. He believes excessive sitting is lethal. Overall in his studies, people who do not gain weight were consciously active, a concept he describes as “NEAT”, which stands for Non-Exercise Activity Thermogenesis. He feels that it is a war against inertia itself, which sickens the mind as well as the body (Vlahos, 2011). People who walked around for as little as 2 minutes decreased their risk of mortality by 33% compared to people who sat nonstop probably due to weight loss and other metabolic changes (Beddhu, 2015). The amount of sitting we do in a day outweighs any benefits we get from exercise. Sedentary behaviors can lead to death in cardiovascular disease and cancer as well as increase your risk of diabetes sitting for more than 12 hours a day increase the risk of type II diabetes and 90% (Biswas, 2015). Sitting is associated with a higher risk of kidney disease (Bharakhada , 2012), and metabolic syndrome (Edwardson, 2012). Kimberly A Reich PhD in the Muscle Biology and Imaging Laboratory, Department of Kinesiology, University of Massachusetts, Amherst found changes in gene expression following 24 hours of inactivity and her team is not sure if these changes are reversible (Reich, 2010). Telomeres were found to lengthen in those who sat the least in a sense allowing cells to become younger with no correlation based on the amount of exercise that was done, in comparison to those who sat who were found to have shorter telomeres (Sjogren, 2014). A search of the medical literature in Pubmed.com for prolonged sitting and back pain did not provide any studies concluding that prolonged sitting results in back pain. In observational studies, back pain is thought to be due to lifting, bending and prolonged sitting (Stevens, 2015) or even prolonged sitting and standing, weakness in the legs, regular exercise, and smoking (Bener, 2014) as well as obesity. The general concept is fairly simple. When you sit for long periods of time, your body will work to maximize its efficiency. Part of this process is to deactivate muscles that are not used. In this case it is the large muscles in the legs. This causes about one third of your overall muscle mass to go offline resulting in the accumulation of sugar and fat in the bloodstream. This results in the clogging up of your finely tuned machine. Over time this raises your overall cholesterol (decreased lipoprotein lipase) and blood sugar increasing your risk of developing coronary artery disease and diabetes. Enzymes that burn fat decrease by 90% after an hour of sitting. This also decreases your metabolic rate to about 1 cal burned per minute or a third of what it would be if you walked around. Decreased physical activity has been found to activate the genes that promote the development of inflammation, diabetes and cardiovascular disease. Standing activates muscles so excess blood glucose is quickly absorbed by the muscles instead of accumulating in the arteries and veins (Thyfault, 2015). Even simple activates such as fidgeting can have a protective effect. There was increased mortality seen in the group that reported the lowest level of fidgeting. Some people feel that squirming around is the body’s way of dealing with a transition from super-active lifestyles, such as hunting and gathering by the cavemen to modern sloth-like behavior (Think Jabba the Hutt in Star Wars) (Feltman, 2015). In children a similar effect happens although children can recover faster. One study by Ali McManus PhD, an associate professor of pediatric exercise physiology at the University of British Columbia in Kelowna found that after a single session of prolonged inactivity for 3 hours, the children developed changes in their blood flow and arteries that in adults would suggest cardiovascular problems. Dr. McManus noted that chairs were as alluring to the young girls as they are to grown-ups and that they were content with movies or an iPad (McManus, 2015; Reynolds, 2015). In response to the need for children to move, one elementary school in Virginia is trialing pedal desks (Hurford, 2015). Some people feel that a child’s need to move is a normal physiological response to the restrictive nature of a chair and possibly by keeping their muscles moving, children may do better in school. Varicose veins are common in people who sit, but uncommon in cultures where people sit on the ground (Cranz, 1998). John Buckley, a professor of applied exercise science at the University of Chester has commented on the reduction in the risk of developing key chronic diseases in people who stand for more than 2 hours per day. Standing burns one half to one calorie more a minute than sitting. In an eight hour work day that equals 480 additional calories consumed. Sitting more than an hour lowers the levels of the enzyme lipoprotein lipase, which causes calories to be sent to fat stores rather than to muscle, Dr. Hedge said (Reddy, 2015). Over the course of a year you burn an extra 30,000 calories or 8 lbs per year. This is equivalent to running over 8 marathons per year just by standing for 3-4 hours a day at work (Calorie, 2013). The Canadian Society for Exercise Physiology released minimum exercise guidelines for all age groups needed to stay healthy . To remain active during the day, consider using an adjustable standing desk with periodic breaks of walking and sitting. Consider a Treadmill desk. Although they may lower general productivity they can break up the daily routine and keep you moving. For every 30 minutes of sitting, you should stand for 8 minutes and stretch for 2 minutes according to Alan Hedge PhD, an ergonomics professor at Cornell University or consider even two minutes of walking every 20 minutes. Consider including regular aerobic exercise such as cycling, swimming, fast walking, and jogging to keep your muscles in good working order. Good posture allows you to feel relaxed and allows you to distribute your weight evenly to the bones decreasing the stress on your muscles, joints, tendons, ligaments. While standing remember to keep your shoulders back, with your ears are positioned over your shoulders with your belly button pulled toward your spine. Do not let the siren call of dropping your head forward towards the computer screen happen. Remember adjustable office desks and chairs come in different sizes and they should be fit appropriately to your frame. Choosing the rich chair can be a very time consuming process as expertly described by Tim Ferris. Beddhu, S. et al. “Light-Intensity Physical Activities And Mortality in the United States General Population and CKD Subpopulation.” Clinical Journal of the American Society of Nephrology 10.7 (2015): 1145–1153. Web. Bener A, Dafeeah EE, Alnaqbi K. Prevalence and correlates of low back pain in primary care: what are the contributing factors in a rapidly developing country. Asian Spine J. 2014 Jun;8(3):227-36. Bennett, D. “Kill Your Desk Chair-And Start Standing.” Bloomberg.com. Bloomberg, June 2012. Web. 2 Dec. 2015. Bharakhada, Nilesh et al. “Association Of Sitting Time and Physical Activity With CKD: A Cross-Sectional Study in Family Practices.”American Journal of Kidney Diseases60.4 (2012): 583–590. Web. Biswas, Aviroop et al. “Sedentary Time And Its Association With Risk for Disease Incidence, Mortality, and Hospitalization in Adults.” Annals of Internal Medicine Ann Intern Med162.2 (2015): 123. Web. “Calorie Burner: How Much Better Is Standing up than Sitting? – BBC News.” BBC News, Oct 2013. Web. 1 Dec. 2015. Cranz, Galen. The Chair: Rethinking Culture, Body, and Design. New York: W.W. Norton, 1998. Print. Dunstan, D. W. et al. “Television Viewing Time And Mortality: The Australian Diabetes, Obesity and Lifestyle Study (AusDiab).” Circulation 121.3 (2010): 384–391. Web. Dunstan, D. W. et al. “Breaking Up Prolonged Sitting Reduces Postprandial Glucose And Insulin Responses.” Diabetes Care 35.5 (2012): 976–983. Web. Edwardson, Charlotte L. et al. “Association Of Sedentary Behaviour with Metabolic Syndrome: A Meta-Analysis.” PLoS ONE 7.4 (2012): n. pag. Web. Engelhart, K. “The Hell of a Perfect, Cubicle-Filled Office.”Macleansca. N.p., 2014. Web. 1 Dec. 2015. Friedenreich, Christine M., Heather K. Neilson, and Brigid M. Lynch. “State Of the Epidemiological Evidence on Physical Activity and Cancer Prevention.” European Journal of Cancer 46.14 (2010): 2593–2604. Web. Katzmarzyk, Peter T. “Standing And Mortality in a Prospective Cohort of Canadian Adults.” Medicine & Science in Sports & Exercise 46.5 (2014): 940–946. Web. Lohr, S. “Taking a Stand For Office Ergonomics.” The New York Times. The New York Times, Jan. 2012. Web. 1 Dec. 2015. Mackenzie, K.“BMJ Group Blogs.” BJSM blog social medias leading SEM voice RSS. Web. 1 Dec. 2015. McManus AM, Ainslie PN, Green DJ, Simair RG, Smith K, Lewis N. Impact of prolonged sitting on vascular function in young girls. Exp Physiol. 2015 Nov 1;100(11):1379-87. Morris, J.N., Heady, J.A., Raffle, P.A.B., Roberts, C.G., and Parks, J.W., 1953. Coronary heart disease and physical activity of work. Lancet 265, 1111-1120. Morris, J.N., Heady, J.A., Raffle, P.A.B., Roberts, C.G., and Parks, J.W., 1958. Coronary heart disease and physical activity of work. Br Med J (2)5111, 1485-1496. Owen, Neville. “Sedentary Behavior: Understanding and Influencing Adults’ Prolonged Sitting Time.” Preventive Medicine 55.6 (2012): 535–539. Web. Paffenbarger, R. S. “A History of Physical Activity, Cardiovascular Health and Longevity: the Scientific Contributions of Jeremy N Morris, DSc, DPH, FRCP.” International Journal of Epidemiology 30.5 (2001): 1184–1192. Web. Patel, A. V. et al. “Leisure Time Spent Sitting In Relation to Total Mortality in a Prospective Cohort of US Adults.” American Journal of Epidemiology 172.4 (2010): 419–429. Web. Ploeg, Hidde P. Van Der. “Sitting Time And All-Cause Mortality Risk in 222 497 Australian Adults.” Arch Intern Med Archives of Internal Medicine 172.6 (2012): 494. Web. Reich, K. A. et al. “Forty-Eight Hours of Unloading and 24 h of Reloading Lead to Changes in Global Gene Expression Patterns Related to Ubiquitination and Oxidative Stress in Humans.” Journal of Applied Physiology 109.5 (2010): 1404–1415. Web. Rockette-Wagner, Bonny et al. “The Impact of Lifestyle Intervention on Sedentary Time in Individuals at High Risk of Diabetes.” Diabetologia 58.6 (2015): 1198–1202. Web. Sjogren, P. et al. “Stand Up for Health–Avoiding Sedentary Behaviour Might Lengthen Your Telomeres: Secondary Outcomes from a Physical Activity RCT in Older People.” British Journal of Sports Medicine 48.19 (2014): 1407–1409. Web. Thyfault, John P. et al. “Physiology Of Sedentary Behavior and Its Relationship to Health Outcomes.” Medicine & Science in Sports & Exercise 47.6 (2015): 1301–1305. Web. Veerman, J. L. et al. “Television Viewing Time and Reduced Life Expectancy: a Life Table Analysis.”British Journal of Sports Medicine46.13 (2012): 927–930. Web.